Sermon-based small groups are the hub of ministry at North Coast Church. Take a behind the scenes look at what keeps our small groups ministry thriving at this two day workshop. North Coast Church pioneered the Sermon-Based Small Groups model and currently has over 90% of regular attenders involved in a small group. At this customized consulting session, you’ll have an behind the scenes look at our successes and failures over 20 years of navigating Small Groups. Your team will walk away with the practical knowledge and tools needed to increase your small group participation and grow your church. Content is presented by North Coast Senior Pastor Larry Osborne, and our team of seasoned Small Groups Pastors. This workshop is perfect for ministries of any size looking to switch to a sermon-based model, or simply revitalize and grow their groups. Day 2: Hear from our front line practitioners on the nuts-and-bolts of what it takes to be successful, plus attend North Coast’s weekly Sermon Prep meeting for a behind the scenes look at the sermon-based model. Optional: Arrive early (Saturday or Sunday) and visit North Coast campuses and venues as a team. Seeing North Coast’s weekend services in action will provide valuable context for your team. Larry Osborne is one of the Senior Pastors at North Coast Church in Vista, California and president of North Coast Training. Under his leadership, North Coast has grown from 128 to over 12,000 in weekend attendance and has been honored as one of the ten most influential churches in America for its pioneering efforts in the multi-site movement, sermon-based small groups, as well as its creative approach to shared leadership. 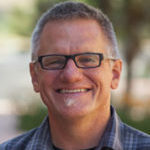 Larry’s books include Sticky Teams, Sticky Church, Accidental Pharisees, Ten Dumb Things Smart Christians Believe, Spirituality For The Rest Of Us, The Unity Factor and Innovation’s Dirty Little Secret. Dave has been on staff at North Coast Church since 1990 and is the lead pastor of Small Groups. His passion is to create an environment for people to connect and experience life to the fullest. Dave oversees a team of 21 staff, 900 lay leaders and over 7,000 participants. It is through Dave’s leadership that North Coast maintains over 90% adult participation in weekly home groups. 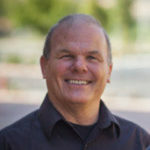 Dave has a Bachelors Degree in Christian Education from Biola University, a Masters of Divinity from Bethel Theological Seminary, and has served as an adjunct professor at Biola University. Dave and his wife have been married for 20 years and have three teenage children. 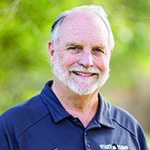 Ned has been leading small groups for more than 35 years. He has been one of the Growth Group Pastors at North Coast since 2005 and during that time he has recruited more than 200 small group leaders and he currently oversees 80 small groups. Before joining the North Coast staff, Ned served with Cru (formerly Campus Crusade for Christ) for 29 years. He has lived in the Vista area with his wife, Marcia, since 1994. They have three married children and five grandkids.